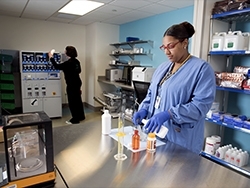 The Acute Care Inpatient Pharmacy at Baystate Medical Center moved to new space that allows improved safety and efficiency of medication dispensing, using technological advancements that ultimately help to improve patient care. A team of nurses and doctors at Baystate Medical Center have worked to eliminate preventable cases of hypoxic‐ischemic encephalopathy (HIE) in newborns. HIE is a brain injury caused by oxygen deprivation. 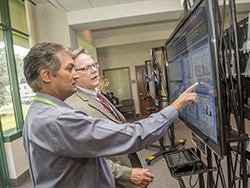 The team has helped dramatically reduced incidences of HIE by educating providers and nurses, to better master fetal monitoring and conducting safety rounds. 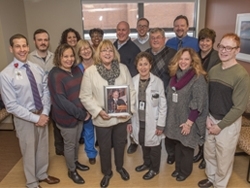 The team was the winner of Baystate Health’s President’s Excellence Award which recognizes the ongoing work of improving and maintaining quality performance in patient care. Patients of the Baystate Regional Cancer Program had faster and more accurate radiation therapy thanks to a new state-of-the-art radiation therapy machine: The Versa HD Linear Accelerator. 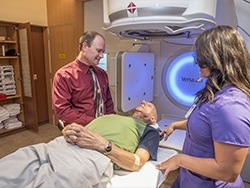 The Linear Accelerator uses advanced electronics and tiny motors to shape the beam to treat only the tumor and avoid radiation to normal tissue. Baystate Franklin Medical Center and Baystate Noble Hospital were recognized nationally for patient safety receiving an “A” rating from The Leapfrog Group. Only 36 of the 58 hospitals assessed in Massachusetts achieved this distinction. Nationally, 798 (31%) of 2,571 hospitals reporting date received an “A” grade. 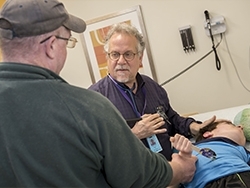 See the Awards Section for national awards earned by Baystate Health including distinctions from U.S. News & World Report, Truven, Magnet, and recognition for stroke care. 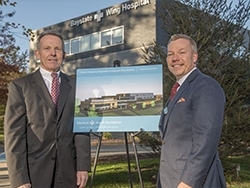 Baystate Franklin Medical Center’s new $26 million, 55,000 square-foot surgical facility opened its doors in the Spring of 2016, helping to enhance surgical services to the people in Franklin County. Thanks to Baystate Health Foundation’s Keeping Care Local campaign, co-chairs Robbie and Mary Cohn and honorary co-chairs Charles and Elizabeth Barker, $5 million was raised for the Surgery Center. 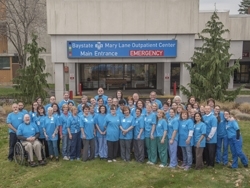 To ensure quality care in the future and maintain essential outpatient services, Baystate Mary Lane became part of Baystate Wing Hospital and it is now called Baystate Mary Lane Outpatient Center which includes satellite emergency services. 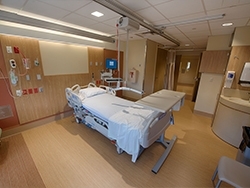 Patients who need inpatient hospital care are transported to Baystate Wing Hospital, Baystate Medical Center, or another appropriate medical facility depending on their care needs. Baystate Medical Center earned a prestigious NICHE designation. NICHE, which stands for Nurses Improving Care for Healthsystem Elders, recognizes a hospital’s commitment to caring for older patients. 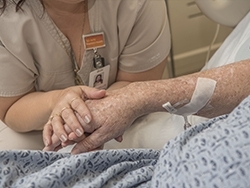 Baystate Medical Center offers unique and evidence-based, interdisciplinary approaches resulting in better care for older adults. Watch a video about Baystate Medical Center’s care of older adults. 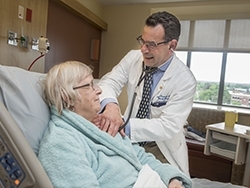 Neurosurgeons at Baystate Medical Center were the first and only providers to offer Deep Brain Stimulation (DBS) treatment in western Massachusetts. DBS is a state-of-the-art surgical treatment for people with severe tremors caused by diseases like Parkinson’s. The procedure involves inserting electrical wires into the area of the brain causing the problem. The wires are attached to a device implanted in the chest that is programmed to send electrical impulses to the brain. These impulses block the brain signals causing the movement disorder. Deep brain stimulation significantly improves the quality of life of patients. 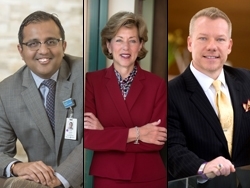 This year Baystate Health welcomed new leaders to Baystate Medical Center, Baystate Franklin Medical Center, and the Baystate Health Eastern Region. Tejas Gandhi was appointed chief operating officer at Baystate Medical Center, Cindy Russo, MS, FACHE was appointed to the position of president/chief administrative officer, Baystate Franklin Medical Center. Michael Moran was appointed president and chief administrative officer for Baystate Wing Hospital and Baystate Mary Lane Outpatient Center. The Collaborative Consultative Care Coordination Program (4C) was created to help parents and pediatricians manage care for the most medically complex children in the community. 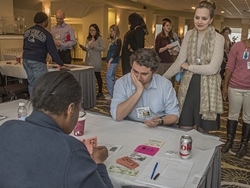 A team composed of a pediatrician, psychologist, nutritionist, nurse care coordinator, social worker, and family navigator find resources to supplement the cost of equipment, assist families with basic needs including food, clothing, financial stability and housing, and coordinate appointments to alleviate stress. The new three-floor South Wing at Baystate Medical Center welcomed its first patients this year. The wing includes 32 private rooms with flat-screen TVs, personal safes, space for family members, and easy access to a nursing station, a gym for orthopedic patients, and more. Take a video tour of the South Wing. A task force was established at Baystate Health to tackle the opioid addiction crisis in western Mass. The task force identified strategies to expand access to medication treatments for opioid addiction, improve the care of patients with chronic pain, and increase distribution of potentially life-saving naloxone rescue kits. Baystate Health providers joined with law enforcement officials, public safety officials, social service agencies, behavioral health experts and educators in Franklin County, Hampden County and the Quaboag Valley to combat this growing problem. 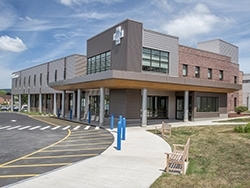 Baystate Franklin Medical Center, Baystate Noble Hospital, and Baystate Wing Hospital were the recipients of CHART (Community Hospital Acceleration, Revitalization, and Transformation) grants given by the Massachusetts Health Policy Commission to enhance the delivery of efficient, effective health care. Baystate Franklin Medical Center received $1.8 million. They will use the grant to help strengthen the support system for patients with complex medical, behavioral, and social needs in Franklin County, and will help reduce potentially avoidable hospital visits and admissions. Baystate Noble Hospital received $1.2 million and they are using the grant to reduce 30-day readmissions by 25 percent by providing ongoing services to target population patients – in the Emergency Department (ED), during an admission, and following discharge. Baystate Wing Hospital received $1 million dollars to strengthen the support system for patients with complex medical, behavioral, and social needs in Hampden, Hampshire, and Worcester County communities, and reduce potentially avoidable hospital visits and admissions. Joint Grant: In addition to the individual grants these hospitals received, they also received a joint grant of $900,000 with the aim of using telemedicine consults to help reduce inpatient transfers to Baystate Medical Center. 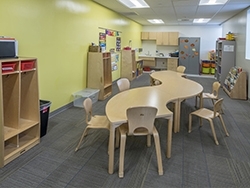 The Baystate Children’s Hospital Child Partial Hospitalization Program moved to 150 Lower Westfield Road, Holyoke, MA offering larger “kid friendly” group areas, upgraded sensory integration rooms, an indoor gym, spacious consultation rooms, and a separate adolescent suite. The Child Partial Hospitalization Program is one of four partial hospitalization programs located in Greenfield, Westfield, and Springfield offering short-term, intensive individual and group therapy, psychiatric evaluation, medication monitoring, and case management for adults and children who don’t need hospitalization, but rather a higher level of emotional support to cope and make healthy decisions. 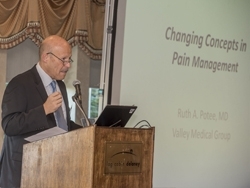 This year the patient and family advisory councils expanded to Baystate Mason Square Health Center, Baystate Pediatric Gastroenterology, BMP-Greenfield Family Medicine, and BMP-Wilbraham and East Longmeadow Adult Medicine. 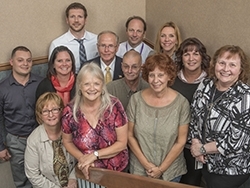 Patient and Family Advisory Councils are composed of people who live in communities Baystate Health serves and health care professionals of all types and experience. Councils meet regularly to talk about issues relevant to the patient experience. Over 195,000 language interpreter sessions helped patients and families better understand their care in person, over the phone or via video. 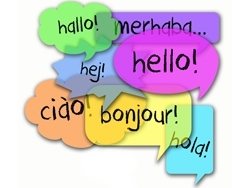 Staff interpreted in about 70 languages such as Spanish, American Sign Language, Arabic, Mandarin Chinese, Nepali, Portuguese, Russian, Somali, Ukrainian, and Vietnamese. New languages interpreted this year were Gujarati (India), Fukienese (China), and Mon – an ancient language spoken in Burma and Thailand. Baystate Health became the first health system in New England to post patient ratings and verbatim patient comments on its public website. 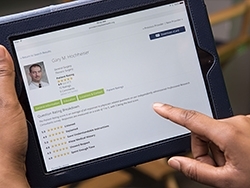 Over 300 providers with more than 30 reviews each are now viewable, with an average rating of 4.8 on a scale of 5. Over 3,000 comments are also online. Patients and families can now get help finding their way through Baystate Health hospitals through a smartphone app called WayToGo. 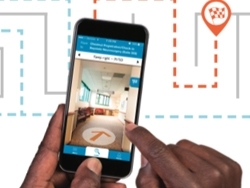 The app gives patients, visitors, and employees the fastest route to their destination using photo navigation and simple text. 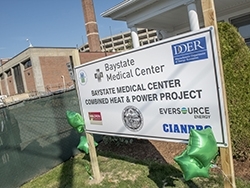 Baystate Medical Center received $7.9M in energy reduction and resiliency grants for a future Combined Heat and Power Plant (CHP). The new CHP plant will substantially reduce Baystate Medical Center’s carbon footprint and decrease utility cost by generating electricity onsite. Moving a hundred year house was undertaken, rather than demolishing the building, to make room for the new Cogeneration Plant. Click here to view the historic house move. 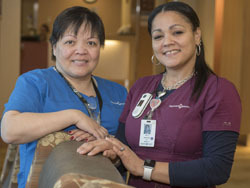 The Baystate Home Health programs at Baystate Noble Hospital, Baystate Wing Hospital and Springfield became one program. Baystate Home Health cares for patients with significant disability to elderly patients remaining independent in their homes. Rob and Mary Cohn philanthropic support: Longtime supporters of the Baystate Health Foundation Rob and Mary Cohn of Greenfield received the first-ever Baystate Health Foundation Impact Award for their philanthropic support of Baystate Franklin Medical Center. In 2006, Rob and Mary co-chaired the Second Century Campaign for Baystate Franklin Medical Center – raising $6 million for the new Emergency Department, Radiology Department, and front lobby. Most recently, they committed their time, talent, and resources to raise over $5 million for the new surgery center at Baystate Franklin Medical Center. Country Bank Donates $1 Million: Country Bank announced a generous $1 million contribution towards the construction of Baystate Wing Hospital’s new Emergency Department. The project, scheduled to begin construction in 2017, will right size the emergency department at our Palmer campus to better accommodate current patient needs. 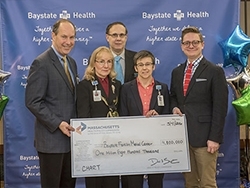 Country Bank’s donation is just the latest example of the regional bank’s steadfast philanthropic commitment to Baystate Health, loyally serving as an annual major sponsor of community events and funding patient care needs for Baystate Wing and Baystate Mary Lane for more than three decades. Baystate Noble Ball Raises Funds: Over 500 guests attended the 52nd annual Baystate Noble Ball. In keeping with the goal to make Baystate Noble Hospital accessible to everyone, proceeds from the Ball will help ensure that the hospital’s plans for creating a modern main entrance and reception area are achieved. UMass Medical School (UMMS) established a regional medical school campus in Springfield, UMMS-Baystate. The new medical school will enroll 25 students in its first class beginning in 2017 in a unique tract called PURCH (Population-based Urban and Rural Community Health). The goals of the program are to increase access to students in Massachusetts seeking an affordable medical education; to respond to the health care needs of the Commonwealth by increasing the number of Massachusetts physicians trained in urban and rural primary care; and to apply proven academic research methods to improve population health, reduce health disparities, and make health care better integrated, more efficient, and more effective. Watch a video about the PURCH program. 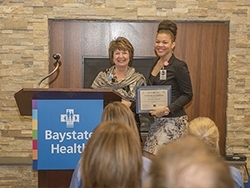 Baystate Health is committed to continuing education programs in 30 different professional areas through partnerships with Elms College, Springfield College, Western New England University, STCC, Greenfield Community College, Holyoke Community College, Westfield State University, and many others. 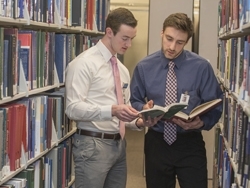 Our post graduate programs expanded to 10 medical residencies and 20 fellowships, including new fellowship training programs in hospital medicine and gastroenterology. In addition, Baystate Medical Center welcomed 1,770 new residents, fellows, medical students, nursing students, and allied health students. 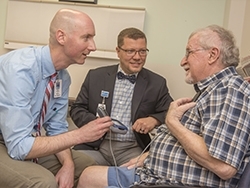 Baystate Medical Practice faculty is acquiring and disseminating new knowledge to a broad audience that will improve the care we deliver to patients. Our faculty published 140 peer-reviewed articles (original research findings) through August 2016. The Nurse Residency Program expanded to all Baystate Health hospitals. In partnership with Vizient and American Association of Colleges of Nursing, Baystate welcomed 57 nurse residents this year, providing both advanced curricular activities and fellowship activities to ease the transition from school to practice. 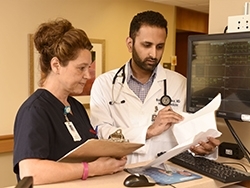 Baystate’s Nurse Residency Program is a one-year curriculum for newly graduated registered nurses, offering hands-on clinical experience, in-depth learning through monthly seminars, participation in evidence-based projects, and ongoing professional development. Learn more about the Baystate Health Nurse Residency Program through this video. 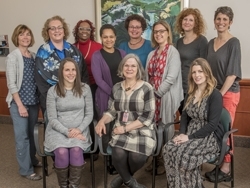 Baystate Medical Center’s Midwifery Education Program continued to be recognized by The Accreditation Commission for Midwifery Education for a 100 percent pass rate of graduates on their first take of the American Midwifery Certification Board examination. Baystate Health is one of 38 programs in the country. 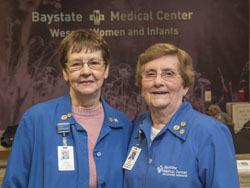 Twenty percent of the babies born at Baystate Medical Center are delivered into the hands of nurse midwives. Over 360 babies were delivered by nurse midwives. Baystate Springfield Educational Partnership (BSEP) ran programs for 243 participants drawn from all Springfield High Schools and several charter and private schools. Baystate Springfield Educational Partnership offers Springfield-area high school students the opportunity to explore different career pathways to successfully prepare themselves for emerging opportunities in health care. BSEP awarded 22 former BSEP participants $38,000 in scholarships to support their pursuit of undergraduate and graduate education. The six year total of scholarships awarded now exceeds $598,000. Watch this video of how BSEP has made a difference. There are over 12,000 employees at Baystate Health. 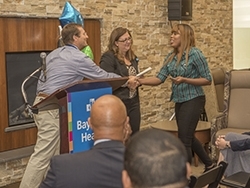 Baystate Health recognizes and celebrates team members throughout the organization for going above and beyond in demonstrating Baystate Health’s caring values: quality, compassion, service, teamwork and innovation. Leaders, peers, patients and their families may immediately recognize someone for their good deeds. Baystate Health congratulates all team members involved in delivering 15,000 recognition moments in 2016 toward a higher state of caring. Baystate Health Foundation makes saying “thank you” easy through Gifts of Gratitude. The Gifts of Gratitude program offers a deeply impactful way for patients and their family’s to honor a physician, nurse, technician, or any member of the Baystate Heath family who contributed to a positive care experience. Throughout the past year, hundreds of gifts have been received through the program in recognition of care our patients experienced. The individual who is honored receives a certificate signed by Mark Keroack, MD and a special commemorative pin. Gifts of Gratitude donations are used to support patient care programs and services. Watch this inspirational Gifts of Gratitude story. Forgivable nursing loans are available each year for Baystate Health employees earning a BSN, masters, DNP or PhD in nursing. 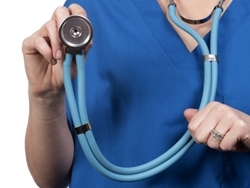 This year, there were 50 Nursing Forgivable Loan recipients. The program was established in 2002 and to-date has supported approximately 461 students providing nearly $1,823,700. Baystate Health employees benefited from three assistance programs that made their home buying dreams a reality, assisted them in emergency situations, and provided them with much needed additional paid time off. Home Buying Program: The Mark R. Tolosky Baystate Neighbors Program provides forgivable loans to Baystate Health employees purchasing their first homes in the communities surrounding our hospitals. In 2016, 50 team members were awarded forgivable loans to purchase a home and Baystate Health has provided more than $1.6 million in forgivable home loans to date. 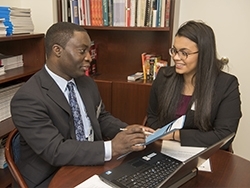 Caring for Colleagues: The Baystate Health Caring for Colleagues Fund offers emergency assistance to employees who have experienced a sudden loss of income, family crisis, or other unforeseen circumstances. More than 20 employees received assistance in 2016. Paid Time Off Donation: Baystate Health implemented a Paid Time Off Leave Sharing Program. This program allows team members to donate paid time off from their accrued but unused paid time balance to create a bank of paid time off time that can be made available to co-workers in need of additional time off. There were 398 hours of paid time off donated in 2016 to the benefit of employees. 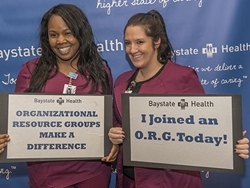 Baystate Health Organizational Resource Groups (ORGs) connect employees with shared identities, creating an inclusive environment for employees and patients. New groups of ORGs were created this year for women, team members with disabilities, and young professionals. 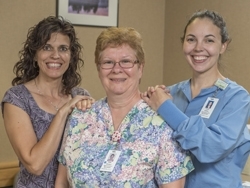 Volunteers enhance the work of our employees and interactions with our patients and families. In 2016, more than 1,200 volunteers donated over 104,000 hours showing their belief in the care we provide to our community.